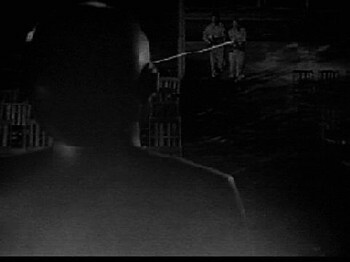 Video by Shawn Colton, based on the original screenplay conception of Science Fiction/Double Feature. but he told us where we stand. 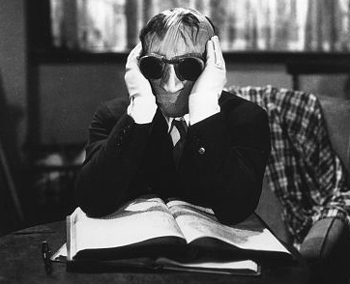 Claude Rains was The Invisible Man. they got caught in a celluloid jam. Doctor X will build a creature. See androids fighting Brad and Janet. Anne Francis stars in Forbidden Planet. At the late night, double feature, picture show. when Tarantula took to the hills. fight a Triffid that spits poison and kills. and passing them used lots of skills. "I'm gonna give you some terrible thrills". To the late night, double feature, picture show. 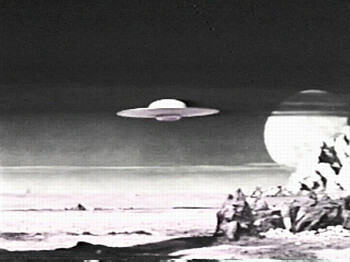 The Day the Earth Stood Still (1951, 92m, 20th Cent. 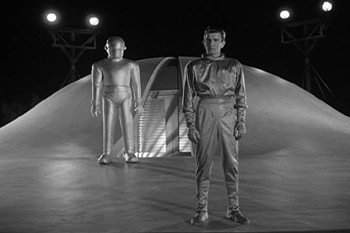 Fox), starring Michael Rennie as "Klaatu", with Patricia Neal. 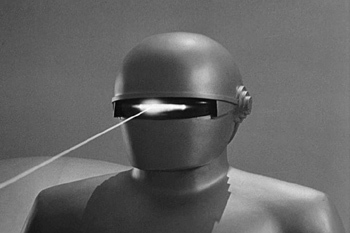 An alien comes to Earth, shows us his power by shutting down all of our power for a day, and then said for us to shape up or his large robot Gort would destroy the world. We promise to fly right, and he leaves. (I guess we fooled him). Gave us the classic phrase "Klaatu Barada Nikto" which means basically, "Klaatu says 'Don't destroy the planet'". 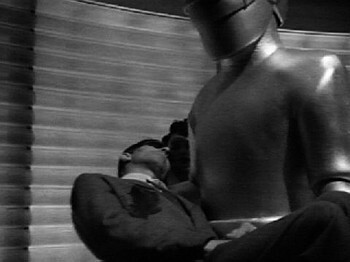 Also Klaatu wasn't ill that day, but was actually stuck in an elevator. Directed by Robert Wise, who would later direct West Side Story (1961), The Sound of Music (1965), The Andromeda Strain (1971), and Star Trek: The Motion Picture (1979), and then become president of the Academy of Motion Picture Arts and Sciences (the Oscar people). 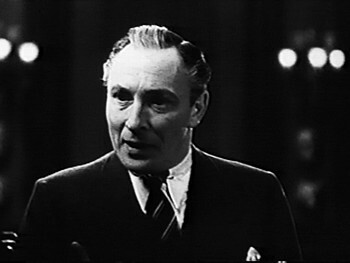 The movie was inspired by a 1940 short story published in Astounding called Farewell to the Master, by Harry Bates. It has little in common with the movie other than having a flying saucer piloted by aliens named Klaatu and Gort land in Washington D.C., but is just as thought provoking a story as the film is. 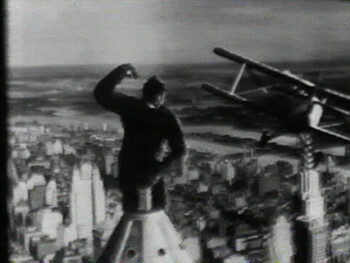 Three movie serials starring Buster Crabbe in the late 1930s: Flash Gordon (1936), Flash Gordon's Trip to Mars (1938), and Flash Gordon Conquers the Universe (1940). They were based on the comic strip created by Alex Raymond in 1933, which was published to compete with Buck Rogers. 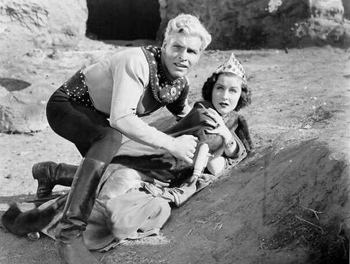 Ironically, Buster Crabbe also appeared in the 1939 Buck Rogers serial. Much later Richard O'Brien (who wrote the music and lyrics for "Science Fiction/Double Feature") would appear as Fico in the 1980 Flash Gordon movie. The Invisible Man (1933, 71m, Universal), starring Claude Rains and Gloria Stuart. 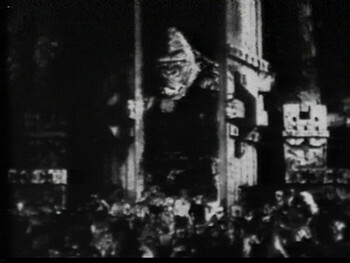 Directed by James Whale (who also directed Frankenstein in 1931), and based on the novel by H.G. Wells (first published in 1897, the same year Bram Stoker published Dracula). This was the sixth of 46 films Gloria Stuart (who should not be confused with Gloria Stewart, wife of Jimmy Stewart) made between 1932 and 1944. Apparently she found it such a strain that she took the next thirty years off before returning to acting. In 1997 she portrayed the 101-year-old Rose in Titanic, becoming the oldest Oscar nominee ever in the process. Two years later, Cooper and Schoedsack would try again with another big-budget epic: The Last Days of Pompeii (1935, 95m, R.K.O.). This film would have absolutely no significance here except that it too was remade, (1960, 105m, Italy), this time featuring that big time American bodybuilder-turned-actor star of Italian "cloak-and-sandal" action-fantasy flicks Steve Reeves. He had already starred in Hercules, Hercules Unchained, and Goliath and the Barbarians in just 1957 and 1959. (Just so you know these thing are circular, Goliath... also starred Bruce Cabot). Although Reeves would only make those two, the Italian "Hercules" movie series would continue for at least 26 years and 11 movies; some starring other bodybuilders-turned-actors Lou Ferrigno and Arnold Schwarzenegger. Yes I know that this is an incredible contrived segue from King Kong to Steve Reeves, but Steve is just about the only film reference mention in RHPS that I don't mention somewhere here, and I'll be damned if I am going to leave him out. 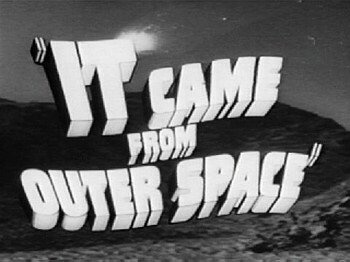 It Came From Outer Space (1953, 81m, Universal), based on a Ray Bradbury short story starring Richard Carlson and Barbara Rush. An alien ship crashes in the desert, and its passengers assume the identities of some of the locals to attempt to repair their ship unnoticed. Directed by Jack Arnold (who also directed Tarantula - ). In 3-D. 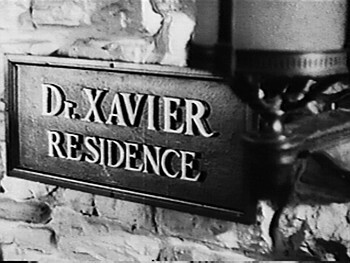 Doctor X (1932, 80m, Warner Bros.), starring Lionel Atwill, Preston Foster, and Fay Wray (and you thought her only movie was King Kong, right? Actually, she made 76 - and all but 10 between the years 1923-1942). 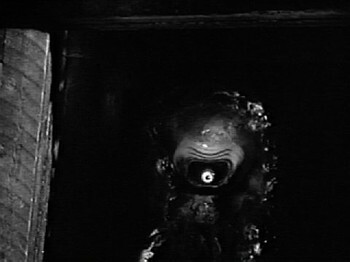 Atwill is Doctor Xavier, and the creature turns out to become "The Full Moon Strangler". Fay's there just to scream a lot. Directed by Michael Curtiz, who would later go on to direct Captain Blood, The Charge of the Light Brigade, We're No Angels, Angels With Dirty Faces, Life With Father, and a whole bunch of other significant films including Casablanca. Casablanca won him the Oscar for Best Director - but not before Curtiz, Atwill, and Wray teamed up again for Mystery of the Wax Museum (1933, 77m), which would later be remade with Vincent Price (and Charles Bronson) as the 3-D classic House of Wax. This line is another puzzle. "Brad and Janet" would seem to refer to the protagonists of Rocky, except there are no androids in the movie to fight with. Perhaps O'Brien is referring to some other movie, which he liked so much that he stole the heroes' names for his own play? But if so, what movie? There are no androids in Doctor X, and while there is at least a robot in Forbidden Planet it is not named "Brad" or "Janet". My best guess: as this stanza parallels the reprise that concludes the movie, O'Brien needed a line with the phrase "Brad and Janet" to balance the line "darkness has conquered Brad and Janet". So, he figured he included a 'coming attractions': "See Aliens fighting Brad and Janet". But then, as he tries to score it, he realizes that the meter doesn't work so he makes a quick change confident that no one will notice, "`cuz it's not like anyone's going to be studying this 20 years from now...". 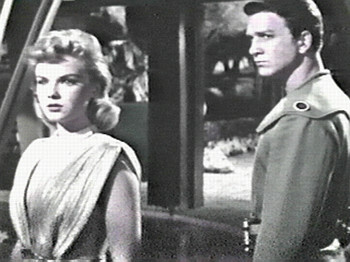 Forbidden Planet (1956, 98m, MGM), starring Anne Francis, Walter Pidgeon, Earl Holliman, and Leslie Nielsen. Yes, this is the same Leslie Nielsen of slapstick comedy fame in Airplane!, Spy Hard, Naked Gun, both of its sequels, and over fifty other films (Forbidden Planet was his fifth). 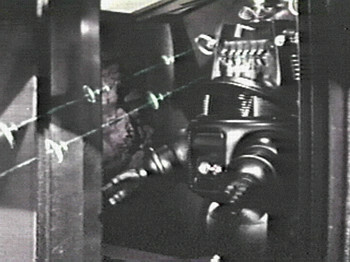 Also features the debut of Robby the Robot. Space explorers land on a planet, meet a scientist and his daughter, and battle with "The Creature from the Id" - the greatest cartoon monster of all time (the rest of the movie was live-action). Based, believe it or not, on William Shakespeare's play The Tempest. Tarantula (1955, 80m, Universal), starring John Agar, Leo G. Carroll, and debuting in a bit role Clint Eastwood (40 years and three Oscars later, it's nice to reflect on that). Carroll is a scientist who creates a growth formula, which creates a tarantula the size of a house. 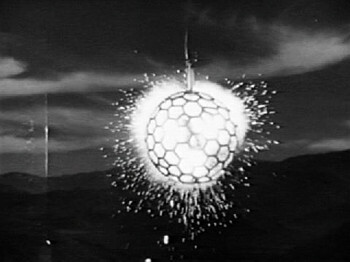 Directed by Jack Arnold (who also directed It Came From Outer Space - ). The Day of the Triffids (1962, 95m, Allied Artists), starring Howard Keel and Janette Scott. Based on the novel by John Wyndham. 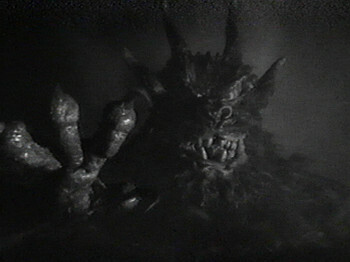 Meteors turn plants into giant walking man-eaters (which by the way is the same basic plot as Little Shop of Horrors, but was nevertheless a very different movie). Remade for British TV in the early 80's. There is, by the way, no such thing as a "Triffid", which is the name these plants went by. However, "trifid" (with one F) means "divided into three parts", and is often used as part of the scientific name of plants which have a three-part leaf. This one was a bit tough. The best I could come up with was Curse of the Demon (1957, 83m, Columbia), which starred Dana Andrews as a "stuffy cynical psychologist who doesn't believe that a series of deaths has been caused by an ancient curse". One of his co-stars was 70, so she may have qualified as a "prune". 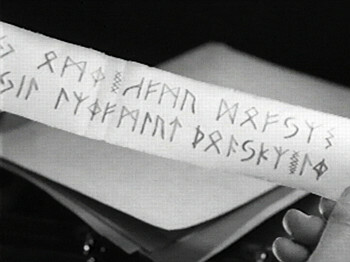 Based on the Montague R. James story, Casting the Runes. I'm not sure about the "to his bride" line, since as far as I can tell Pal wasn't married to anyone noteworthy - all I could find about her was that her name was Zsoka Grandjean. It might possibly be a reference to Bride of Frankenstein (which any horror movie fan knows is the best "Frankenstein" film, and inspired Magenta's hair-do in the final scene), although Pal didn't have anything to do with that movie. I guess it was the only thing O'Brien could think of that rhymed with "collide". When sound was first added to films, the Radio Corporation of America (which these days goes by merely RCA) decided that sound was its bag and was determined to be the leading producer of talkies. Or at least, they wanted to make sure that when you thought of movies - you thought of radio. 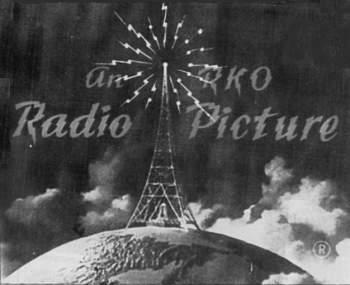 To that end they trademarked the term "Radio Picture", which is what they called their movies. But they needed to make sure that theaters would show all their "Radio Pictures". Their solution was to buy lots of movie theaters and force 'em to. The "Keith-Albee-Orpheum" chain of movie and vaudeville house was willing to merge, and thus was born in October of 1928 the "Radio-Keith-Orpheum Corporation", or R.K.O. for short. (The exact fate of Albee has been lost to the ages). R.K.O. then proceeded to spend most of the 1930's in bankruptcy. 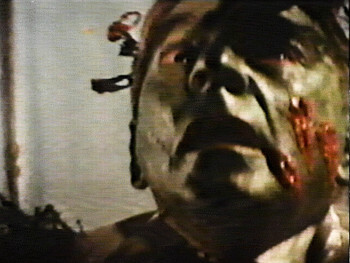 It did find time to make a few movies then, including some high-quality horror flicks like King Kong, Son of Kong, Cat People, and I Walked with a Zombie. Despite making many good films over the years, financial trouble always loomed. R.K.O. 's studios were sold to Desilu (Lucille Ball's company) in 1953, and it stopped making movies altogether in 1957. It survived as a corporation, living off its holdings, until the 1980's when it was swallowed up by other companies. Among the other movies made by R.K.O. were Orson Welles' Citizen Kane, Snow White and the Seven Dwarfs (before Walt left to start his own studio), Hitchcock's Notorious, and vaudeville-stripper-turned-actress Lili St. Cyr's finest hour: Son of Sinbad (1955). It is perhaps interesting to note that, while we have several movies from the 1950's, two from the 1930's and one from the 1960's, there is nothing here from the 1940's. Apparently it was a bad decade for Science Fiction/Horror flicks. Note also that most of the movies cited are rather short, generally running only about 80 minutes. This is because, true to the title, most of these films were intended to run as part of a Double Feature and the theater owners wanted to get two of them in, along with a cartoon and a newsreel, in under 3 hours. The information provided here was gathered from "Microsoft's Cinemania" CD-ROM, Baseline's "Motion Picture Guide" and "Encyclopedia of Film", The Internet Movie Database, and a youth misspent watching a lot of late-night TV. Many links access the IMDB. However many links go elsewhere, so be sure to poke around a bit.